The Tiger Horse is a breed of American horses that finds its root in ancient China. 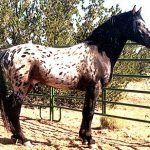 They are known for their remarkable spotted skin patterns much like the Appaloosa, and for their excellent gaits. 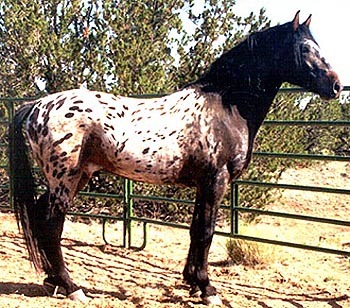 Established in 1992, these horses are extremely popular in the US, and are specifically sought for their coloration. The Spanish had no word for leopard, so they called all cats with leopard-like markings, as well as tiger markings, simply tigers. 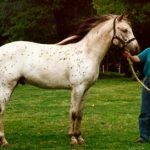 In 1992, Mark and Victoria Varley began a breeding program to recreate “El Caballo Tigre,” the spotted gaited horse that had been brought to America from Spain in the 16th century. 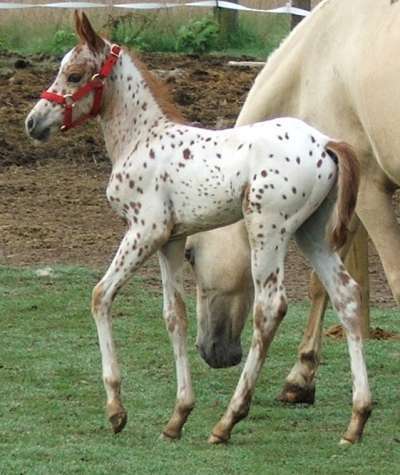 They began breeding certain Appaloosa horses with non-spotted, gaited types. 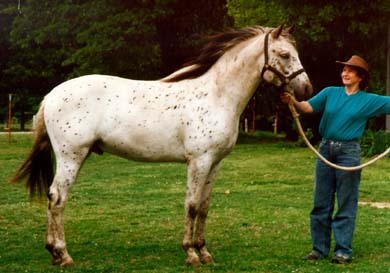 The Soulon was a leopard-spotted horse bred in China during the Tang Dynasty around 618 AD. On January 1, 2011, The Soulon Tiger Horse Registry was created to promote this type and to award Registered Tiger Horses exhibiting the Soulon Type with the Soulon Seal of Approval. The Tiger Horse genetically dates back to 618 AD, when the ‘Soulon’ horse had been developing during the reign of the Tang Dynasty in China. The Tiger Horse from ancient Iberia was developed from the Spanish Jennet horse, and shared the vibrant coat and the smooth gaits with it. 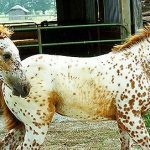 The equines that have leopard-like spotting patterns evolved basically in China, and developed from a common ancient Chinese ancestry. Later, they came to parts of Europe through the decades. These quadrupeds happened to become popular among the Europeans during the time of colonization of the new world, and these equines took their way to the US. By the middle of the 16th century, breeding centers of these equines were established in both central and south America. 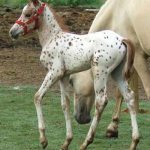 These horses, with their characteristic spotted skin and hardiness, won the hearts of the native people in the Americas in no time, and spread very rapidly. 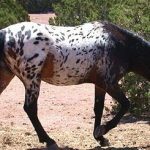 They began to be developed by quite a few American tribes like the Nez Perce who later became popular for their spotted ponies. In 1938, in order to keep up with their authentic coloration, a registry, dedicatedly for such spotted animals was established. 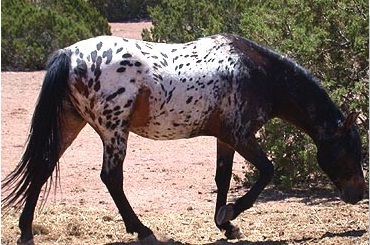 Later, they began with their own breeding programs for the preservation of their characteristic spotted coats. 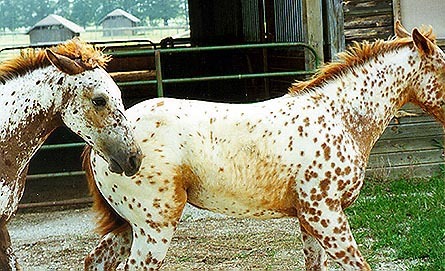 Unwisely enough, the breeding programs used horses like Thoroughbred, Arabian, and Quarter Horses, all of which bear genes that are dominant enough to wipe out the spotted characteristics in the offspring of the Tiger horses. Fortunately, a handful of the original bloodlines of the Tigers remained in parts of Canada and North America, especially in the Pacific Northwest regions. On January 1, 2011, the ‘Soulon Tiger Horse Registry’ was founded in order to encourage the growth of the spotted ‘soulon’ type of horses. The registry awards such registered Tiger Horses with the ‘Soulon Seal of Approval’ that could successfully bear the same traits and characteristics. The tiger horses have two variations – the ‘Heavenly Type’ and the ‘Royalty Type’. These are horses that are able to display versatile gaits including various lateral gaits called the ‘glider gait’ or ‘Indian shuffle’, diagonal fox trot, running walk, as well as the stepping pace. 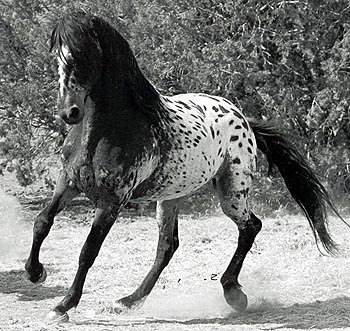 Though these horses have leopard-like skin, but because the Spanish people had no word for ‘leopard’, they would address animals with tiger markings simply ‘tigers’, from which the Tiger Horse got its name – ‘El Caballo Tigre’.